And there are plans to bring back ancient gods and Stark is in the middle, he has to try to save the world again, not that he will get any thanks for it.Felt a bit lacking in some ways but the end left Stark with another set of problems. 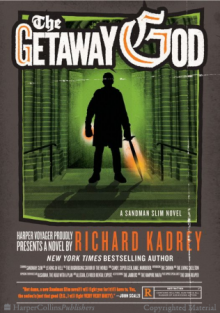 http://brainycat.booklikes.com Brainycat's Occaisonal Reviews 2.5 The Getaway God - No, please don't go out like this! text The Getaway God - No, please don't go out like this!